My kids are one, two and three. They aren’t always patient, or cooperative. But these last couple days they have been amazing. Things have been slowly leaving our house, going home with their new owners. We’ve lived pretty minimalistic life, so there isn’t a lot of extra stuff to get rid of and they are noticing the things that are disappearing. We’ve been doing our best to explain to them why we are getting rid of all our stuff. (Mostly the boys, Zoey is fairly oblivious.) But, the situation is so confusing to me that explaining it in a way a two and three year old are going to understand isn’t the easiest. I have to give them credit. They are getting enough of it that they aren’t too upset about anything leaving the house. They seem to understand that something is happening, even if they don’t fully understand what. They have been patient with me when I send them to T’s a couple days a week and I don’t stay with them. In fact, they get very excited to be there. They are more cooperative about quiet time in the afternoon. And have been more willing to help me when I ask them to pick up their toys. I’m sure it won’t last, after all they are two and three years old. But I’m proud of them right now, and I’m taking advantage of how amazing they are being to get as much done as I can. I love these kids, more then words can describe. In one more month hubs and I are going to completely uproot the kids and move halfway across the country. He’s being released from the military, were selling all our stuff, loading up the van and going. The original plan included movers, the military funding the move, and a lot more organization. But funding fell through and we’re out of options and time. So we’re doing what we think is the best and crossing out fingers it works. But this post isn’t about that. This post is about giving credit to the person that hubs and I have relied the most to help us through this. The person to whom I wish I knew the words to say to express my love for her. The person I wish I wasn’t hurting with our move. The person I wish wouldn’t miss me the way I know I’ll miss her. The way I’ll miss her entire family. Her family has been more of a family to be then hubs family has been. When hubs and I have had appointments over the last little while (and there has been a lot of them) she had never hesitated to take my babies for a few hours. And her mom or mother in law are usually there to help her out. My kids ask me to visit her moms more often then they ask about their grandparents who are only an hour away. I know this move is the best thing for my family and I, but I wish there was a way to pack her in the van with us and take her. To bad she’s so awesome and would be instantly missed. This person knows who she is. I don’t need to name her. I’m going to miss her desperately. More then words can express. Her and her amazing family. Soon enough her little one won’t remember who I am, and this makes me sad. My babies will slowly forget her, this devastates me. I know for a few months they are going to ask to visit her, and each time I’ll fight tears. I want this person to know three things: first; we love you. Straight and simple. Second; I am going to miss you desperately even though I won’t say it all the time, that would just sadden us both. And third; you are an amazing person. Inside and out. I am a better person for having known you. This morning was the day of Nick’s hearing test. After he failed the test they did at his speech assessment a couple months ago I was really nervous bringing him in today. Especially after he had a rough night last night. The test today was a three part test. I am pleased to announced that Nick passed all three parts. This means that his speech delay, is just that. A delay. He will catch up. In his own time. In the meantime he is going to be receiving some speech therapy and we are also going to do some stuff at home to help him out. 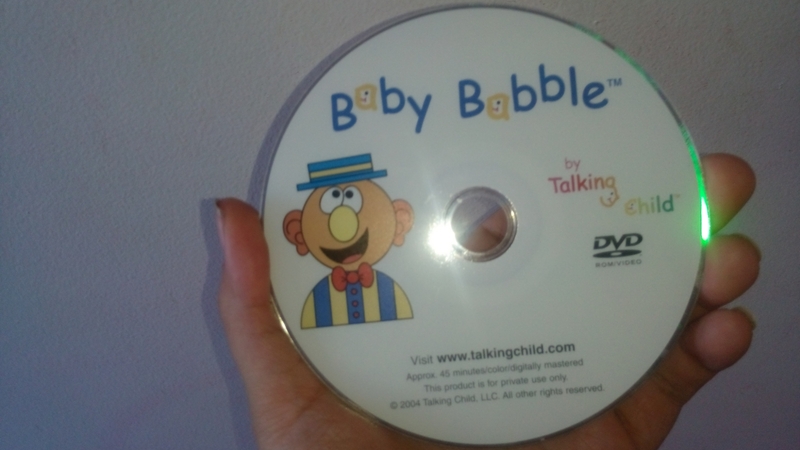 One of the things I have been doing with him over the last couple weeks (and it actually seems to be helping him) is watching our Baby Babble DVD. I only have the first DVD right now, but I want to get the other two in the series. 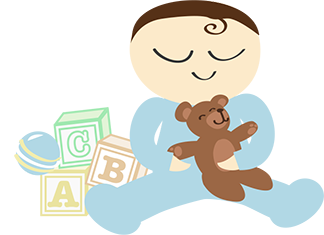 It was designed by a speech pathologist and has some great tips for parents as well as activities and signs for little ones to do. The DVD is bright, fun and simple and engages all 3 of the kids. All three of them mimic the sound and words they hear and Nick had started making more sounds since watching it. I am so relieved that there is nothing wrong with Nick’s ears. Before long my little man is going to be talking up a storm! Disclaimer: I know my kids are blessings, and I know it’s just a bad day. It’ll get better. I know that. But that doesn’t change how I feel in this moment. Today is one of those days that I need a reminder of why I’m doing what I’m doing. Why I have kids. Why having my kids as close together as they are was a good idea. Why I shouldn’t walk away. Today is one of those days where I didn’t get enough sleep. I’m tired. I’m hormonal. Today is one of those days where no matter how much I talk, no one hears me. No one wants to follow the rules. No one wants to play nicely. I can’t walk out of the room to pee without all hell breaking loose. Never mind walking out of the room to get anything done. Every one wants to play with the same toy even though we have thirty thousand toys in the house. Today is one of those days where I can’t take the kids outside because they aren’t listening to safety rules (I know, because I tried) I can’t put a movie on to occupy them because they just scream and kick one another even if I try to sit them across the room from each other. Today is one of those days I need to remind myself why I give so much of myself for so little in return. Remind myself why it’s all worth it when I’m sitting here crying because I’m so frustrated and tired and don’t want to be a mom right now. Today is one of those days when I’m jealous that hubs gets to walk away from it all to go to work. With adults. And quiet. No one’s teething or fighting or leaving disgusting things in their diapers that he had to change. Where he doesn’t have to wash the floor three times in an hour because someone is too busy playing to pee on the potty. I look at these children that grew within me. That are so stubborn and strong willed, just like me. And I can’t fathom how I am going to raise them. I can’t fathom why I want to. And then I can. Suddenly it’s clear. I’m typing and it gets quiet. I look up and they are all sitting nicely watching the movie that finally grabbed their attention. Seeing me watching them Nick smiles at me. Alex looks over and says ‘I love you mom’ Zoey is sleeping. I’m still tired. I’m still frustrated. I’m still crying and want to run away for a little while. But I remember why I do it. They need me. In a disposable world, I’m mom. I’m needed. And for now, that’s enough. Overwhelmed. That’s the only word for it. Lately I have been feeling very overwhelmed with everything going on. I feel like the world is spinning out of control. My kids are great, I have to admit I am very proud of them. Through all the chaos, stress, and being left with a sitter far more often then they are used to (not hard, since before a few months ago, we’d literally never left them) they are adapting super well and I am not worried at all about them adapting to our move. As the day of our move creeps closer and closer I worry about me though. Overall, I’m happy about the move. But deep down I’m incredibly saddened by it. New Brunswick has been my home for almost 5 years. I am going to miss it. But more then that, as the move gets closer I realize how much I am going to rally miss my friends. I’ve met some truly amazing people here. And right now, I’m really feeling how much I am going to miss them. Things are slowly falling into place around our move, although nothing has been set in stone yet. We were promised answers by the end of the week though, so hopefully soon things with start being finalized and my stress levels will go down. I can’t wait to wake up one day and have all this stress behind me. It’ll be a good feeling. Even if it is a little bittersweet.